Homeowners nowadays use a lot of machines that can make household chores easier to do, such as lawnmowers and wheelbarrows. Their tires would have to be inflated every now and then so you can continue using them to keep your home clean. Even a 12v air compressor can do its share of blasting off dust and debris from the visible surfaces at home. This kind of cleaning can be done in the attic or garage, where dust easily accumulates. Air compressors can be used on operating saws, air powered drills, air hammers, sanders, and even metal cutting tools. They also prove helpful as impact wrenches when adjusting railings and gates or rotating car tires. It can hasten any finishing, painting, or other crafting jobs. Spray painting or large scale application of finishing can be done more quickly with the best air compressor for home use. It’s easier to drive nails, staples, and brads into wood when you can get the force to do it from the compressor. PSI (pound per square inch) rating. A good compressor should have at least 90 as its PSI rating. However, you need a higher rating if you want to add more tools to the compressor. CFM (cubic feet per minute) capacity. Regular compressors can usually give you three to four CFM, which is the measure of the volume of air released by the unit. The more tools you will run using the compressor, the higher the CFM should be. Tank size. For frequent use of compressors, it’s best if it has a smaller tank but a large motor, which is the best combination for the unit. If you have to use big tools though, a bigger tank is also necessary. Usage. It could be a gas-powered or electric-powered machine. You can’t use a gas-powered compressor though if you’re indoors because of its fumes. However, an electric-powered machine may be moved outdoors but only within a limited area due to the lack of outlets. You also need to think about whether you have to move the unit around, which means it should be small and portable, or whether you can accommodate it on a more permanent and stable mounting area. Features. Compressors that will be used outdoors or in colder areas should be made of pure cast iron for durability and reliability. Those that have stainless steel finger valves are less exposed to corrosion. While oil monitoring features can help you prevent the machine from operating on low oil levels. It would also be helpful if compressors have separate cast cylinders for longer life and better cooling as well as single-piece connecting rods to avoid any need for internal adjustments. Compressor rating/compressor review . A good air compressor shall have high rating from most of consumer. Porter-Cable. This American company is among the top power tool manufacturers in the world. They are known for making oil-free compressors, which save you from regular oil changes. No grease involved, such as in the Porter-Cable C2002-WK. They also make portable compressors, mainly for home use, such as their 150 PSI 4-gallon compressor. Porter-Cable’s proven durable tools, comprehensive warranty programs, and great customer service have also contributed to establishing a good brand name. Makita. This Japanese company is known for making electric power tools, air tools, stationary woodworking machines, household tools, and garden tools. Their first air tools are the AN5000 pneumatic nailer and their AC6001 compressor. In their line of air compressors, the most popular would be MAC700 and MAC5200. DeWalt. This is another American company that started off making electric universal woodworking tools and eventually, manufactured their own power tools. The best selling DeWalt compressors would be the D55168, D55151, and D55150. Campbell Hausefeld. This company was founded in Ohio In 1836. They eventually went on to making two-stage air compressors. Their Tire and Lube series are popular among collision repair shops and tire stores, but they also sell 3-gallon compressors, such as the Campbell Hausfeld FP209499. Bosch. This German company is a global manufacturer of automotive components, consumer goods, and industrial products. But among their compressors, the best air compressor for home use is the Bosch CET4-20W, a heavy duty machine. 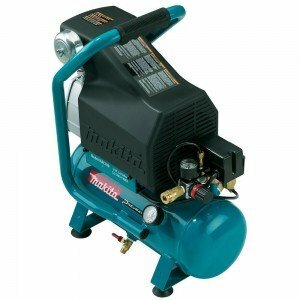 If you want the best homeowner air compressor, you may want to consider the Makita MAC700. It has a 2.0 HP motor and a cast cylinder that helps it work with a reliable stroke necessary for higher compression even in home use. It also features an automotive style filter, which makes it all the more efficient with increased air intake. This compressor runs fast but manages to remain cool most of the time. It is also not as noisy as other compressors. 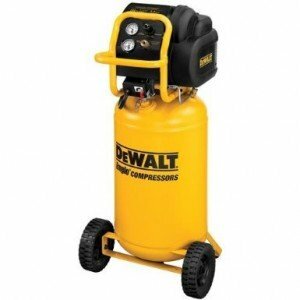 Another home use air compressor worth looking into is the DeWalt D55168. This 120-volt, 15-gallon compressor with wheels can operate with 200 PSI and at 78 dBA for more peace and quiet in your work space. It is also oil free and maintenance free. Considering how flexible an air compressor is, investing in a portable one would be a good idea for homeowners. Not only does it inflate things, but it also helps in cleaning, crafting, and mechanical work. Provided you know what features to look for, you can easily find the best air compressors for home use you are truly looking for.